Kate Moss certainly doesn’t look like she eats a lot of sweets. So, it’s kind of funny that we spotted her eating a crepe in London while strolling in a pair of fabulous fringed Christian Louboutin booties. The English model chowed down in a pair of cuffed and faded jeans, a black zipper-detailed jacket, and a black newsboy cap. Kate’s loose blonde locks poked out of her hat and accentuated the casual feel of her ensemble. 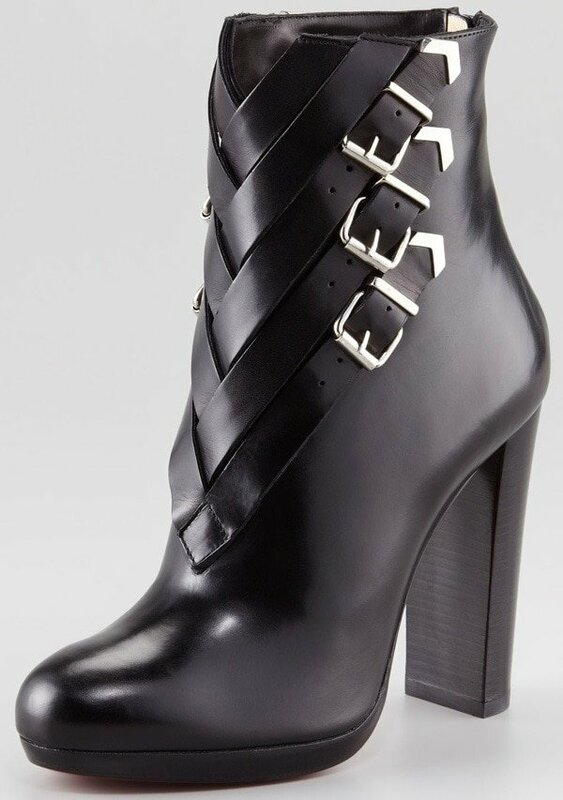 Kate’s ‘Rom’ boots are no longer available online. 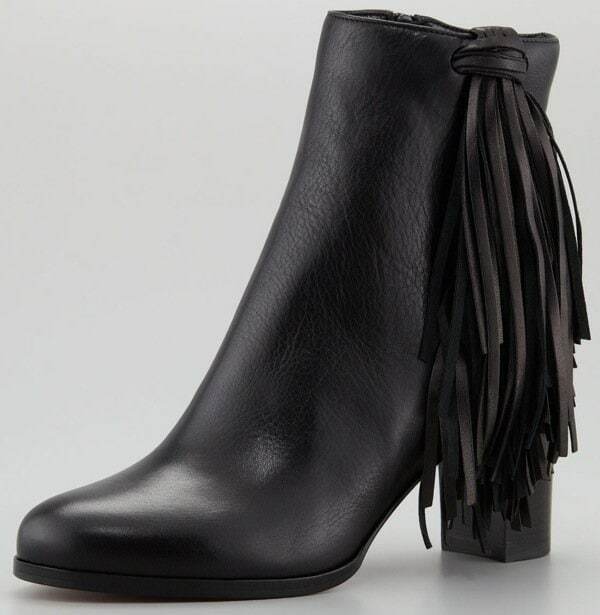 We actually spotted her in the same fringe booties back in 2011. But don’t panic yet. We found a few similar black ankle boots that would create the same casual-cool vibe as the ones Kate rocked. If Louboutins are a little out of your price range, we also dug up a more affordable yet still similar style! 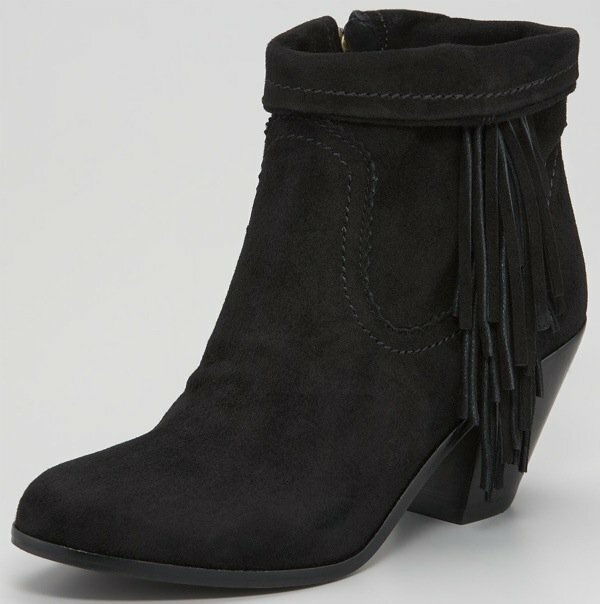 We also found similar fringed ankle boots from Sam Edelman. 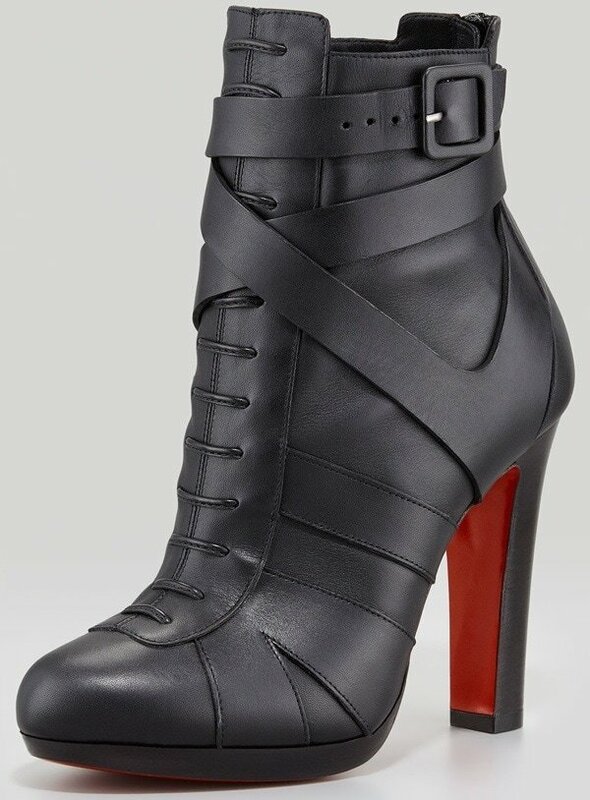 Ringing in at only $160, they’re a much more affordable option than Kate’s Louboutin booties.